Kinhega Drive Roundabout | DRMP, Inc.
To support public involvement and project design, DRMP visualization experts created virtual model of the Kinhega Drive roundabout to explain the project’s design and aesthetic approach to project stakeholders. 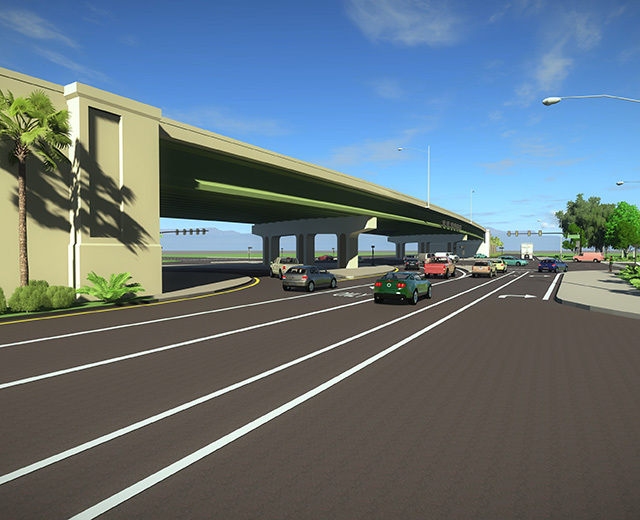 CAD files were imported into Sketchup Pro to create a 3D model, which included real world textures, lighting and animated vehicular/pedestrian traffic. 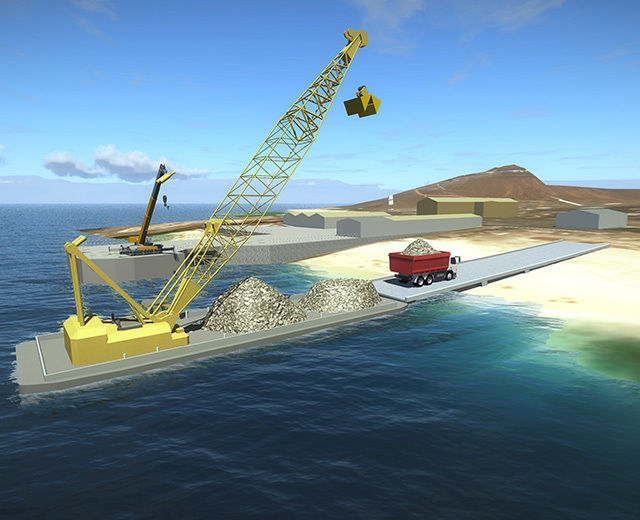 Additionally, still images, fly-through animations from the driver’s and bird’s eye view perspective were then created using LumenRT to better convey the overall project goals. The videos and models assisted the County and the design team in conveying the project design to local business owners, residents and the local high school students and parents how the new roundabout would allow drivers better access to both existing and future commercial development, while also alleviating traffic congestion during peak travel hours. The project won the 2016 Transportation Project of the Year Award for the American Public Works Association (APWA) Big Bend Chapter.